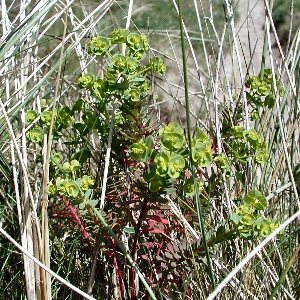 A sand dune plant, much commoner than the sea spurge (Euphorbia paralias) and not fleshy like that species. 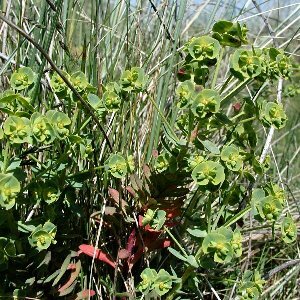 Found on several dune systems around the coast. 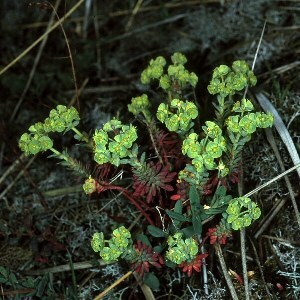 All names: Euphorbia portlandica L.; Euphorbia segetalis auct.